In the decade of the 70 New York City was plunged into one of its greatest fiscal crises. The growing crime without any control and large businesses began their march looking for new locations. The whole atmosphere was hurting the image of New York and tourism was suffering accordingly. Between 1970 and 1980, the city lost nearly 825,000 residents, by far the largest loss ever sustained over a 10 year period. In 1984, there was the highly publicized case of Bernard Goetz, otherwise known as the subway vigilante, who shot four young black men in the New York Subway because they were trying to rob him. The Goetz case became a symbol of a particularly dark moment in New York City history when the city’s crime problem had reached epidemic proportions. The environment of the city at that time, especially prevalent in the subway, was one of complete disorder and daily violent crime. This campaign aimed to search for people to see New York as something more than a big city with all the problems this entails, being a place to enjoy and in which to live. Thus, the campaign sought tourist was directed both to recover tourism as he was missing all the inhabitants of the State of New York. In 1977, William S. Doyle, Deputy Commissioner of the New York State Department of Commerce hired advertising agency Wells Rich Greene to develop a marketing campaign for New York State. The graphic designer Milton Glaser was recruited to work on the campaign and created the design based on Wells Rich Greene’s advertising campaign. He didn’t take the work too seriously and he did it pro-bono, with no idea of the successful brand he just created. The logo was simple and effective, not hard to remember or to draw and probably that’s why people appreciate it. The innovative pop-style icon became a major success and has continued to be sold for years. In the popular mind (though this was not the original intention) the logo has become closely associated with New York City, and the placement of the logo on plain white T-shirts readily sold in the city has widely circulated the appearance of the image, making it a commonly recognized symbol. Nobody comes back from New York without a “I love NY” souvenir. 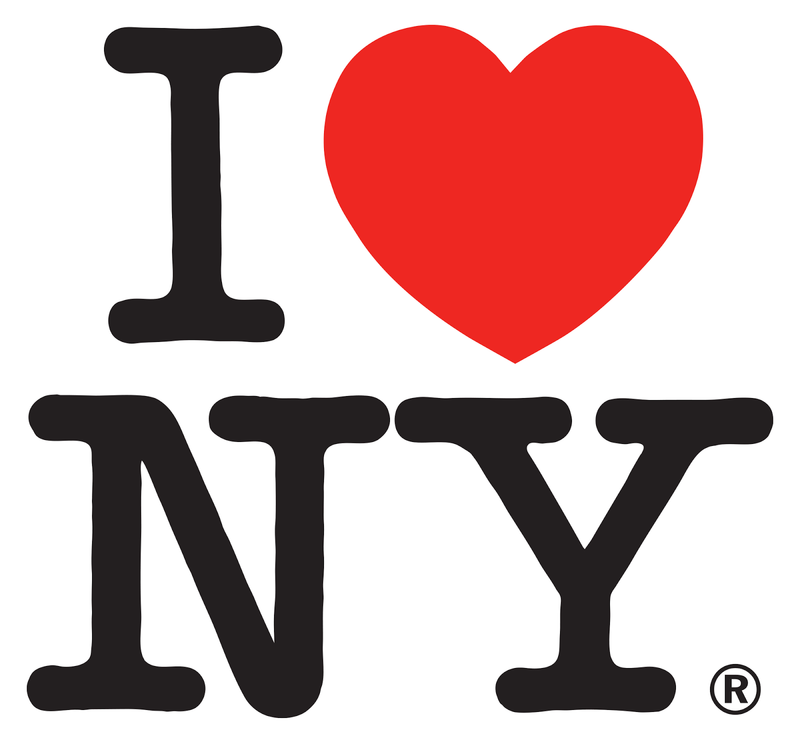 No matter if it’s a white t-shirt, a pencil or a coffee cup, the logo “I love NY” is more than a cheesy tourism item: it’s a state-owned logo that made 1,83 million dollars in licensing fees in year 2011. It’s a huge surge of income for the State so it deserves an article about its history and the explanation of its worldwide success. Now Tourism in New York City serves nearly 47 million foreign and American tourists each year including day-trippers. That advertising campaign gave huge kick to New York city to Brand itself.